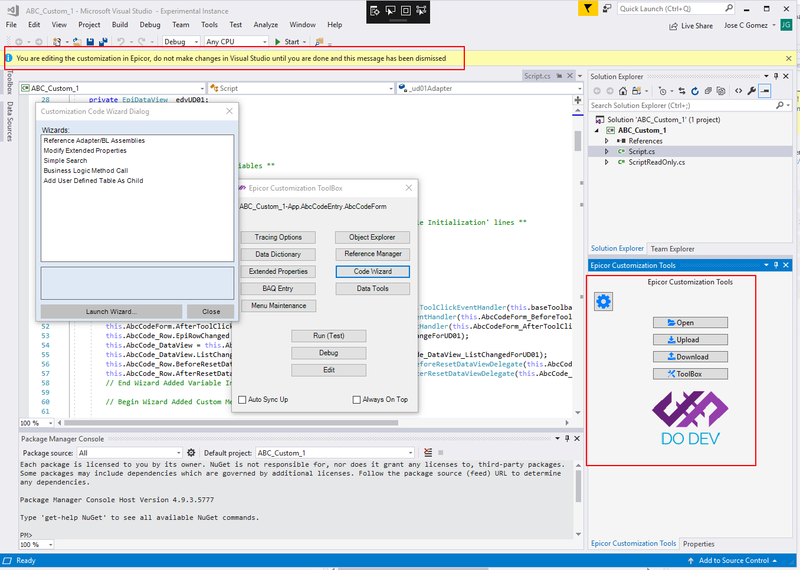 This is an extension which will allow you to Edit, Test and Debug Epicor Customizations right from VS. It can be quite handy specially for the code auto complete feature that VS Code Provides. I would love some testers, and some feedback, open issues in GitHub. Thanks! Fixed a bunch of issues, download a new version of the helper lib. Fixed issue with versioning added Sync Check to Commit to ensure that no overrides occur accidentally. Added version popup checker alert to the extension. Added support for 10.2.100.X Thanks Brett! !